We may come in a situation that running out of space in a virtual machine Linux guest OS which doesnt have LVM structures. I’m going to take the example of a Linux guest under VMware Workstation though this should apply to most hypervisors and flavors of Linux. If your guest VM is critical, we strongly recommended to take a backup to prevent the accidental damages. We don’t have LVM, Our only option is to increase the size of the hard disk and then expand the partition containing the filesystem we wish to expand. Consider the example that we have a disk of 5GB for a testing purpose it has some data. We will extend that partition to another 5GB. SO totally we will have a 10GB Partition finaly. 1. Ensure the disk number, size, cylinders and sectors of the disks to extend using the fdisk command as below. 2. Extend the required size 10GB in Hypervisors such as vmware esx, vmware workstation and Microsoft Hyper-V before carrying out the activity. 3. 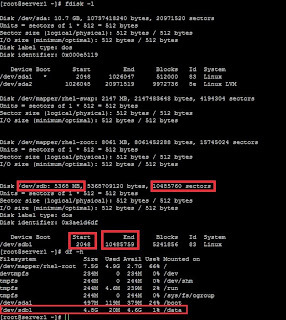 Reboot the server and check again the disks detected using the fdisk command. Now we will see newly extended size as below screenshot. 4. 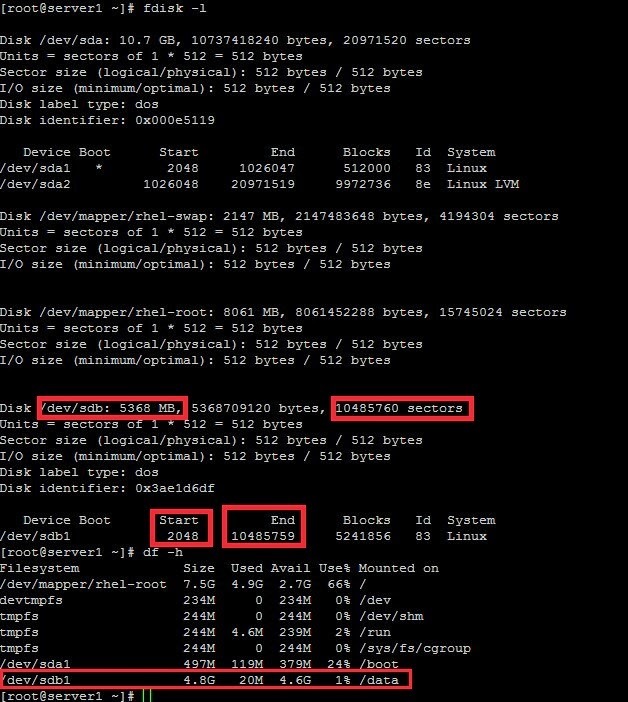 Now extend the existing /dev/sdb1 partition to the end cylinder available as shown in the screenshot below. g. Get the first block from the partition details earlier i.e. 2048. Enter this block as start value. h. Press enter to accept the default as the last block. Thats it. Hope let this helps someone, so please share.